Jaime first showed you how to cool off during the summer months with her post on How to Make Sangria the Easy Way. She gave the basic breakdown for how to whip up a delicious pitcher of sangria just to your liking. 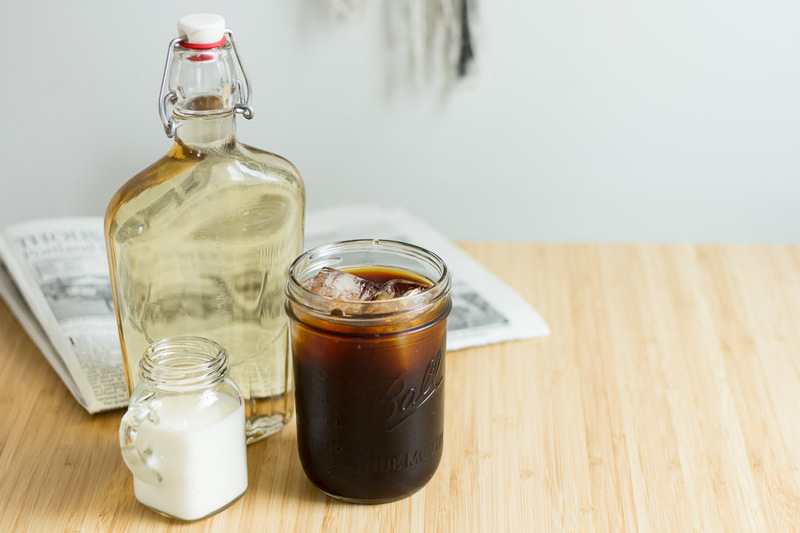 Today we are keeping with the same theme by showing you how to make ice coffee concentrate the easy way, and then how to use it to prepare your perfect cup. 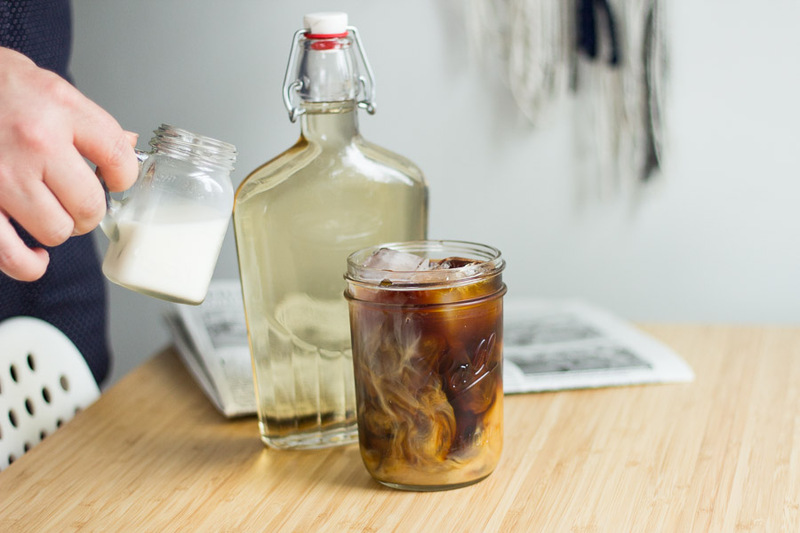 I’ve also thrown in a simple syrup recipe for how to add flavors – vanilla mint ice coffee is heavenly. Pour coffee grounds into a large glass jar. Pour in water and stir to make sure that all coffee grounds are wet. Cover and let sit overnight, but preferably for one day. Strain the coffee grounds out by pouring the mixture through cheesecloth or coffee filters over another glass jar. 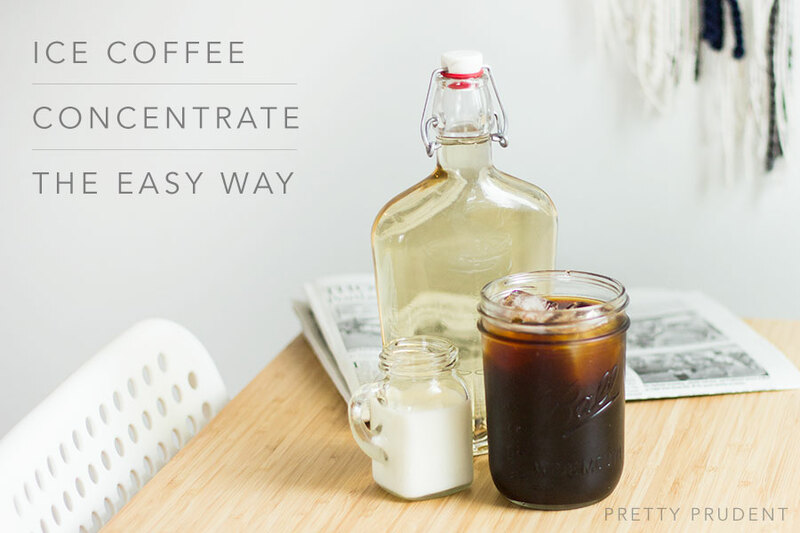 You could also strain them by pouring the mixture into your French Press in small portions and saving the concentrate in another jar. Seal the concentrate in a jar and place in the fridge to chill. It will last for up to two weeks. 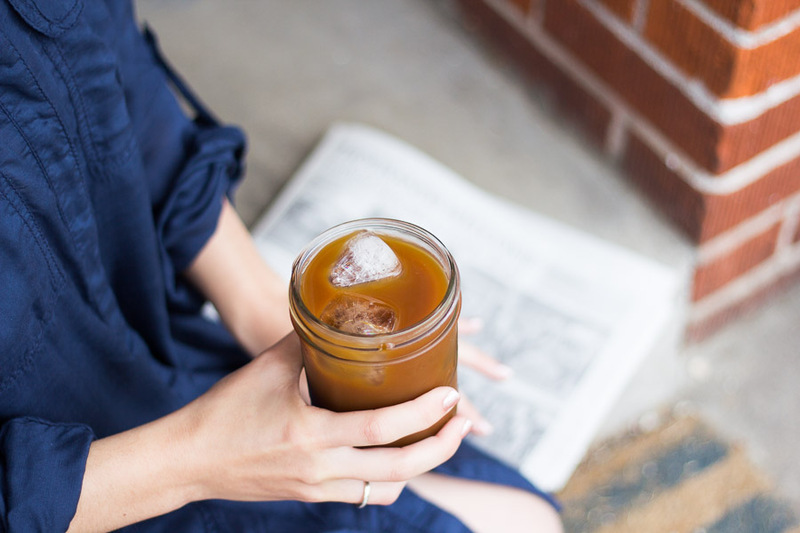 When you’re ready to drink it up, fill your glass with ice and mix together 1 part coffee with 1 part water. Drink it as is, or add milk, creamer, soy milk, or almond milk. 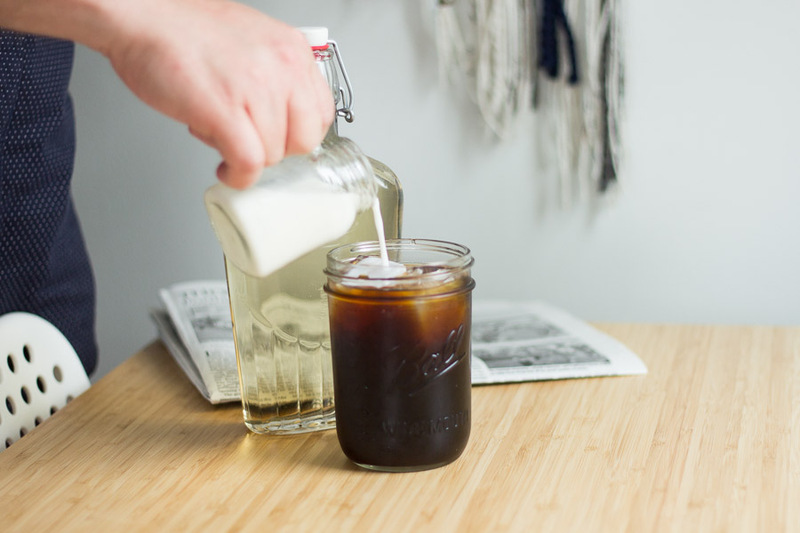 Here is a basic vanilla simple syrup recipe you can use to add a variety of different flavors to your ice coffee. Pour sugar, water, and your herb or spice of choice in a saucepan and stir. Bring to a boil. Remove from heat and allow to cool and thicken. Once cooling, pour in vanilla and stir. 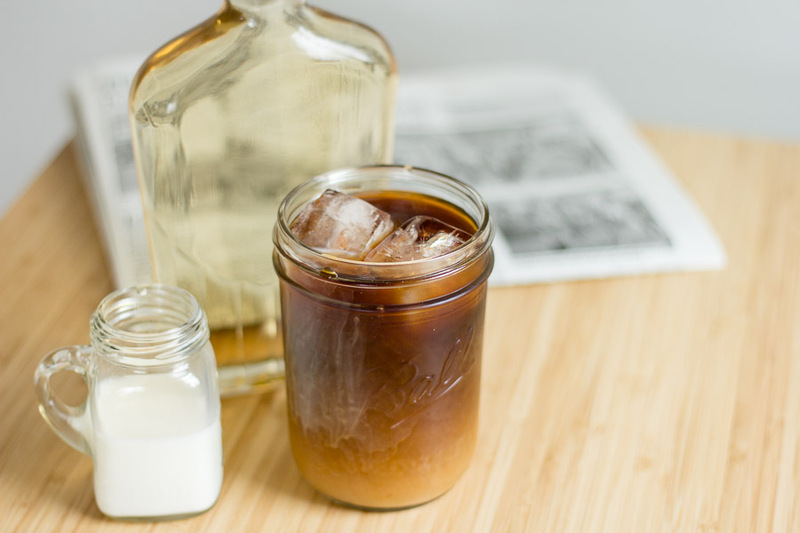 Add your desired amount of simple syrup to your ice coffee and enjoy! I love iced coffee! Another trick (to keep the coffee from diluting too much with ice) is to make ice cubes out of coffee as well. I usually make a couple of trays and then save them in a ziplock. I’ve actually used the leftovers from our normal coffee pot to do that. Just filling a little at a time and saving them. Great for summer! This looks delicious and incredibly easy- a great combination! I can’t wait to try it!